ON THIS DATE (June 14, 1999) ... What Darren Lewis and Jeff Frye did in this game goes beyond the pale. A tandem that came into the ninth inning with a combined total of 35 home runs in 4,911 at-bats hit back-to-back homers for a walk-off 4-3 win over the Minnesota Twins and a stunning rescue of a team running out of lifeboats. Six pitches after Darren Lewis' game tying homer, Frye, who already had three singles, followed Lewis's home run (his second of the season and first in 113 at-bats) with his first home run of 1999. This one, which came in his 100th at-bat this season, was a blast projected at 400 feet into the screen in left-center field that staggered Mike Trombley, shocked what was left of a crowd of 30,099 and sent Red Sox players streaming from the dugout in equal parts elation and amazement. Frye, who was playing only because regular second baseman Jose Offerman had been given the night off, had never hit a game-winning home run in pro ball. 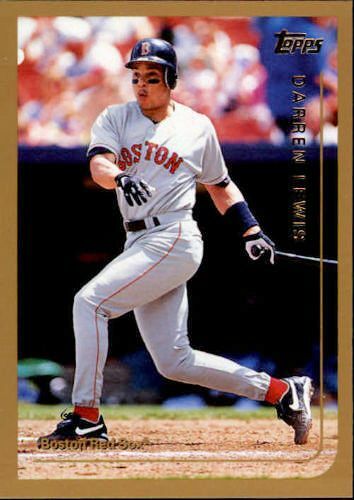 The last time back-to-back home runs won a game for Boston was on April 27, 1999 when Midre Cummings and Lewis went yard in the eighth inning of a 6-5 victory.